Last month when we celebrated Margaret Wise Brown's birthday we learned that the time she spent at the Bank Street College of Education played a significant role in molding her into legendary author. The influence of Bank Street comes back around this month as we celebrate Jean Marzollo's birthday. Many of you know her as the writer of the riddles and rhymes for the I Spy Series . Arguably the most important relationship she made while editing the magazine was with Walter Wick. Marzollo saw a promotional card of his and decided to hire him to design a series of posters. An editor at Scholastic's Book Division noticed the work by Walter Wick and suggested to Marzollo she write a book with him. Together they created the I Spy Series . Over the years, the series has sold over 36,000,000 copies and won numerous awards. There is even an HBO TV Show and iPhone Apps based upon the book series! In the iSpy books, Marzollo has been responsible for the text that accompany Walter Wick's photographs. Her talent of rhythm and rhyme make the riddles pleasant to read even though you can become completely frustrated trying to find all the objects. 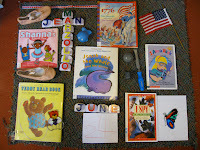 We made our own iSpy puzzle to celebrate Jean Marzollo's booke - Click here to see a bigger photo and our riddle. Marzollo's understanding of children, similar to Margaret Wise Brown, has allowed her to venture into many different types of books. My family enjoyed reading her I Am Science Reader Series . There are ten titles; I Am Fire, I Am Water, I Am a Seed, I Am an Apple, I'm a Caterpillar, I Am a Rock, I Am Snow, I am a Leaf, I Am a Star, and I am Planet Earth. My daughter loved her Bible Stories too. She currently has five stories that she has retold and illustrated including Ruth and Naomi, David and Goliath, Jonah and the Whale, Daniel in the Lions' Den, and Miriam and Her Brother Moses. Additionally, your kids may be familiar with her Shanna's Show Series which has been developed into an animated show for Playhouse Disney. Jean Marzollo also has learned that kids love technology and computers. She frequently conducts Skype chats with school children. She is active on Facebook communicating with her fans and her website is full of great activities. She has adapted many of her books to be accessible online (my son loved these! ); I Love You: A Rebus Story, Monsters For Sale, Castle Crash, Close Your Eyes, Earth Day Rap, and Rebus Songs and Games. There is even an audio reading of her book In 1776 that would be great for the upcoming Fourth of July! All of these activities are expanding on the idea that brought her success with I Spy; make books that are "familiar, concrete, touchable and experienceable." "When I am asked to autograph a book to a birthday child, I am overjoyed to write, "Happy Birthday, Johnny" in a book I know they will read over and over, and hopefully treasure for many years. When my sons were younger, I loved throwing birthday parties for them. In fact, in honor of children and their birthdays, I wrote Birthday Parties for Children: How to Give Them, How to Survive Them which now available online, for free. 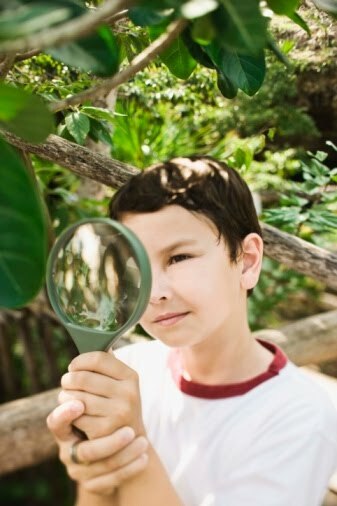 I am looking forward to a very special birthday: the I SPY Series 20th Birthday coming in 2011!" Thank you Jean Marzollo for responding! Make sure you check out her new book, Pierre the Penguin: A True Story . 1. Jean Marzollo's Website - I love when authors have great websites! 2. Jean Marzollo on Facebook - She is very active on Facebook! 9. 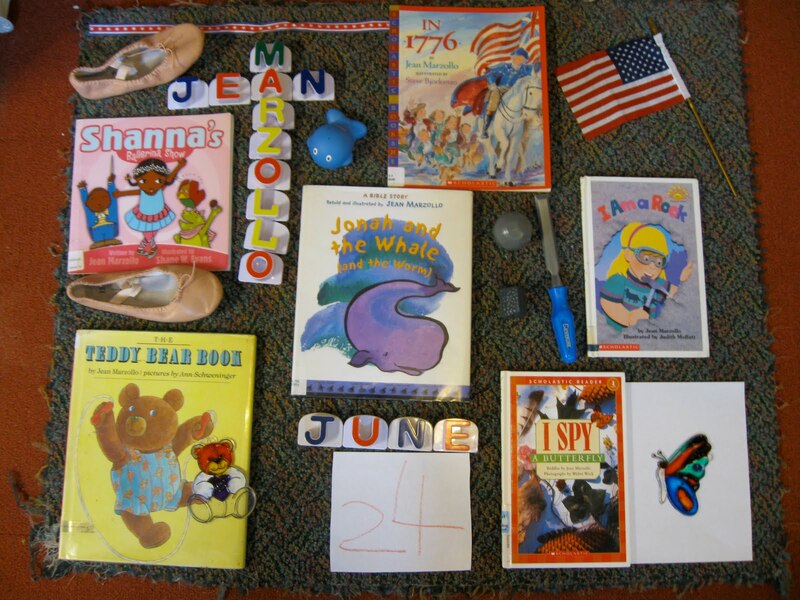 Jean Marzollo's NEW BLOG FOR TEACHERS!